So often we’ve found that tracking down a new and unusual car is like following a piece of string. One thing leads to another, and suddenly you come across a totally unexpected ride. That’s the case with the Jannarelly, a stunning new creation that integrates both classic lines and forward thinking. So how did we come across this wonderfully vintage, yet fresh creation? When Phil Whitaker joined the Kentucky Cobra Club in 2015, he called asking for help to maintain the mechanicals on his MidStates Cobra replica. The club hooked him up with a great local firm, The Dreamcar Co., owned and run by a fellow member Terry Riebel. 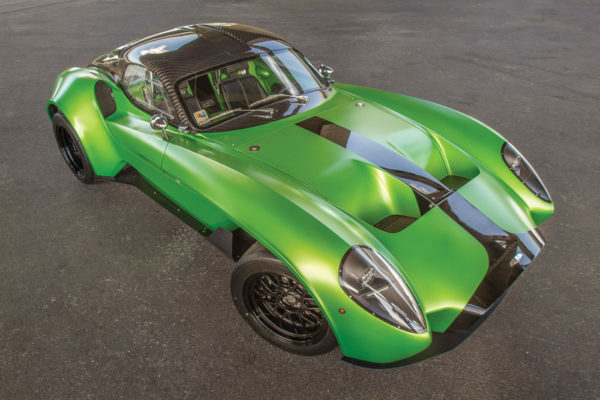 A total rebuild of his MidStates Cobra followed, and Phil still owns the car to this day. Before this happened, Phil had been living with his family in Dubai, United Arab Emirates, from March 2011 to March 2014. Given the dry, sunny climate, he thought it was the right time to cross an item off his bucket list: owning a Lotus/Caterham Seven. He bought a secondhand one that required a lot of mechanical and cosmetic work to make it exactly what he wanted. But when it came time to go back to the States in early 2014, he couldn’t bring the car with him, so he listed it for sale and was contacted by a Frenchman living in Dubai named Anthony Jannarelly. More important to him than the final selling price was that the car would be going to a good home where it would be appreciated. So he felt a need to speak with Anthony about his automotive background and his desire to purchase a Caterham. During these conversations, Phil found out that Anthony was the head designer for a local car company, W Motors, that was in the process of launching the Lykan, the first supercar to be made in the Middle East. 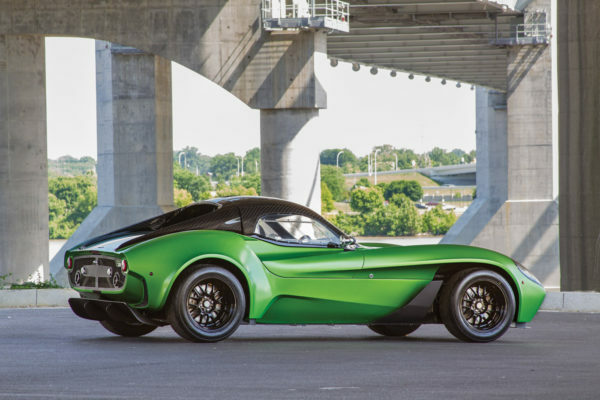 This car sold for $3 million each and was featured in the Furious 7 movie. Since he had designed it, clearly he was a real car guy and Phil had no problem passing his prized ride on to him. 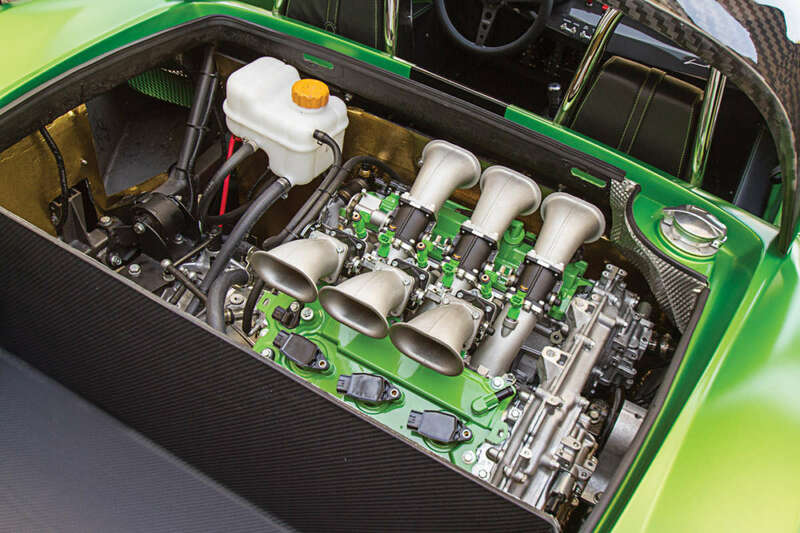 As time passed, Phil swapped emails with Anthony, mostly to keep up on the new life of the Caterham. 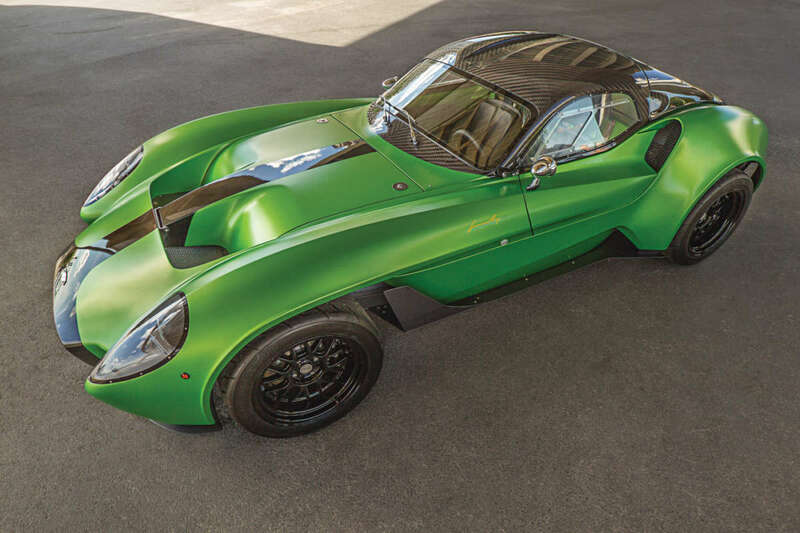 After the Lykan, he designed a specialist desert-racing machine, the Zarooq SandRacer. 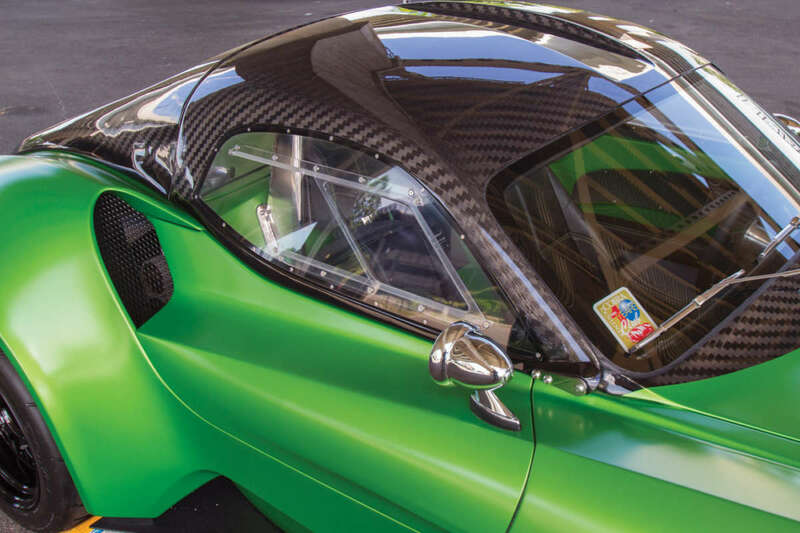 Then in late 2015, Phil heard that he was planning to go back to the basics and build the Design-1 — a simple, purely mechanical car stripped of all the driving assists and technology of modern supercars. 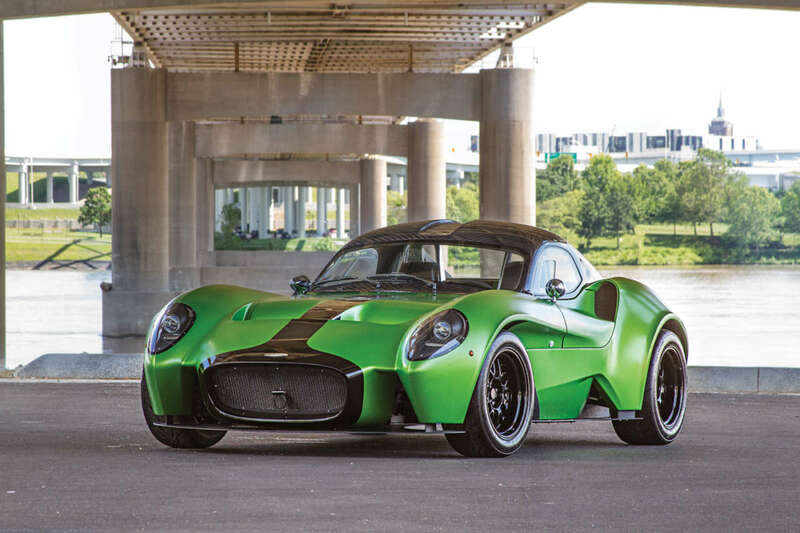 It would be a vehicle harking back to the driving experience of the 1960s, inspired by his (and formerly Phil’s) Caterham. 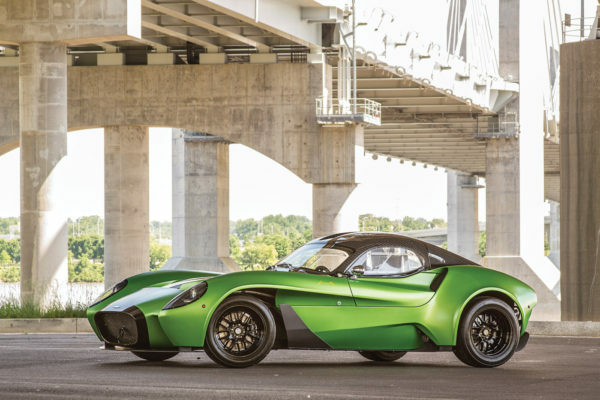 Phil saw some sketches and was very excited by the idea of a simple, Caterham-style driving machine, boasting a powerful engine — the all-aluminum, 300-plus hp, 3.5-liter Nissan VQ35DE in this case. 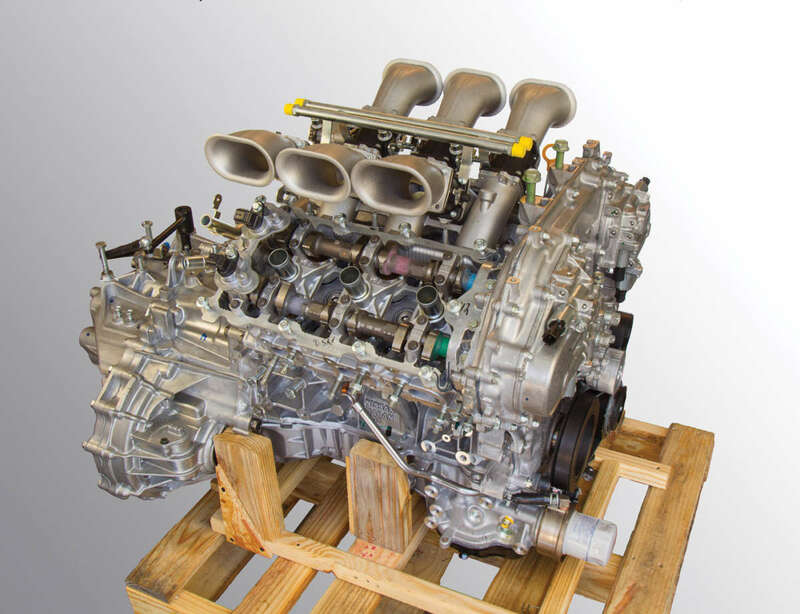 This mill is known for its impressive performance in a number of Nissan vehicles, including the 350Z. 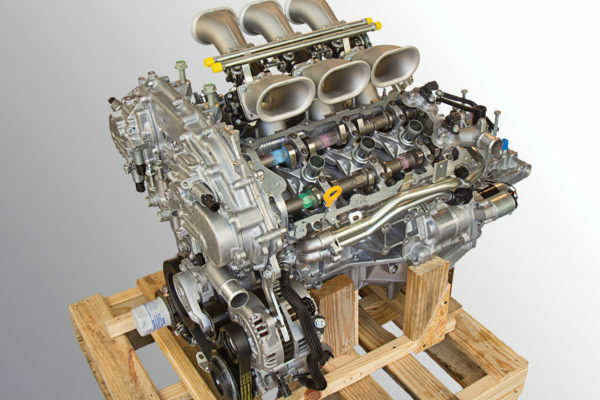 In the Design-1, however, the engine is mounted in a rear mid-engine arrangement. 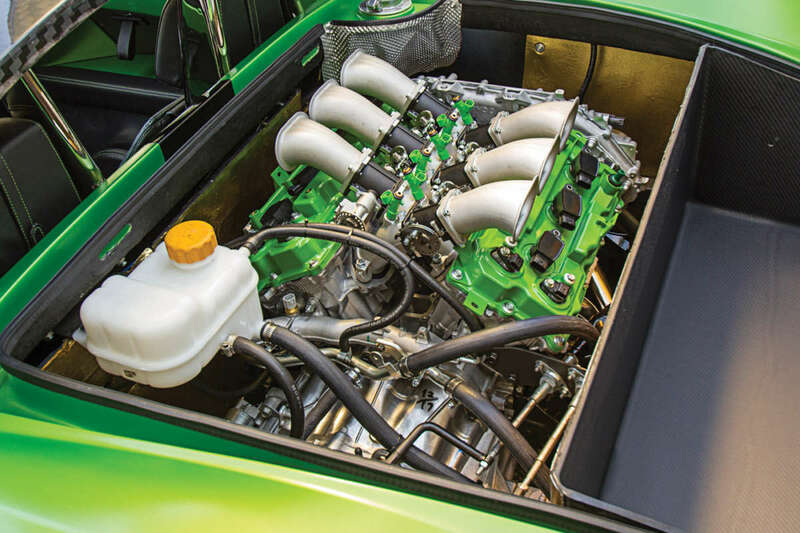 Phil knew that U.S. regulations would allow him to import a rolling chassis, but not a complete car, and he also knew he didn’t have the time or the talent to finish the project here in the U.S. on his own. So he reached out to Terry of the Dreamcar Co. to see if he’d be interested in taking on this project with him. Terry had just finished the MidStates Cobra rebuild, and Phil was enamored with the results. 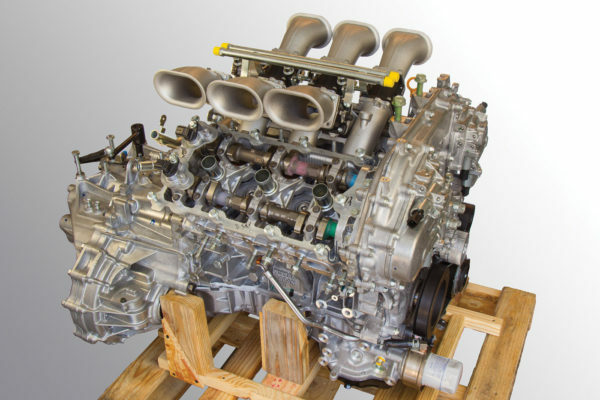 Terry seemed just as excited about the project as Phil was, so in early 2016, he ordered a Jannarelly Design-1 before the first one had even been completed. 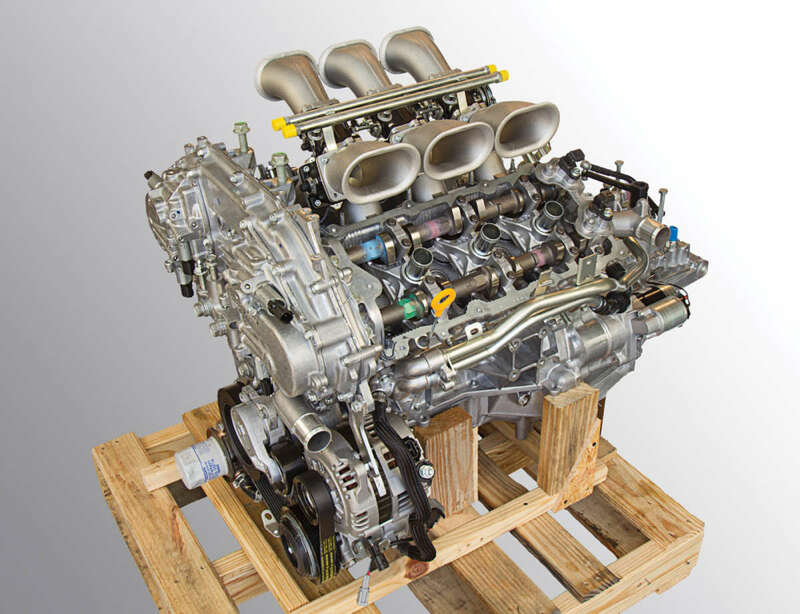 After that began a waiting game, as Anthony and his partner Fredric Juillott wrestled with all the challenges of starting up a complicated business manufacturing cars from scratch in Dubai. Nearly a year later, in January 2017, Phil was able to return to Dubai and drive the first prototype. It was fantastic to see a Design-1 in real life and to drive it for the first time. Anthony’s passion and enthusiasm for the project and every design detail was both infectious and inspiring. The original order was for a car in launch livery, which at that time was a silver car with red stripes. After driving and becoming attached to the blue and red prototype, Phil started to rethink the color scheme. 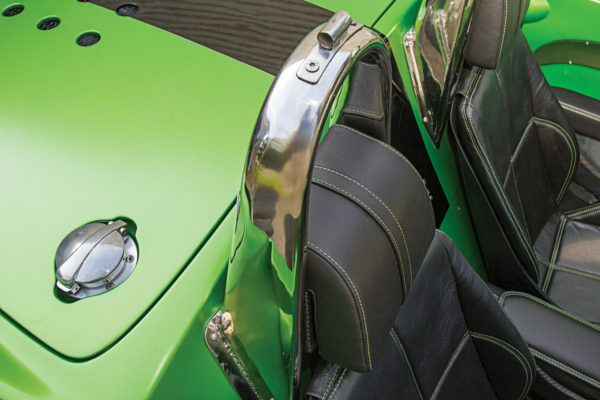 He decided that he wanted something unusual, a roadster that would be unique from the other launch-series cars and would really stand out. In the end, he requested a change to a striking color combo: venomous green with black and carbon fiber. Anthony was gracious enough to accommodate the change. In December 2017, Phil returned to Dubai to see the car on display in its launch livery. 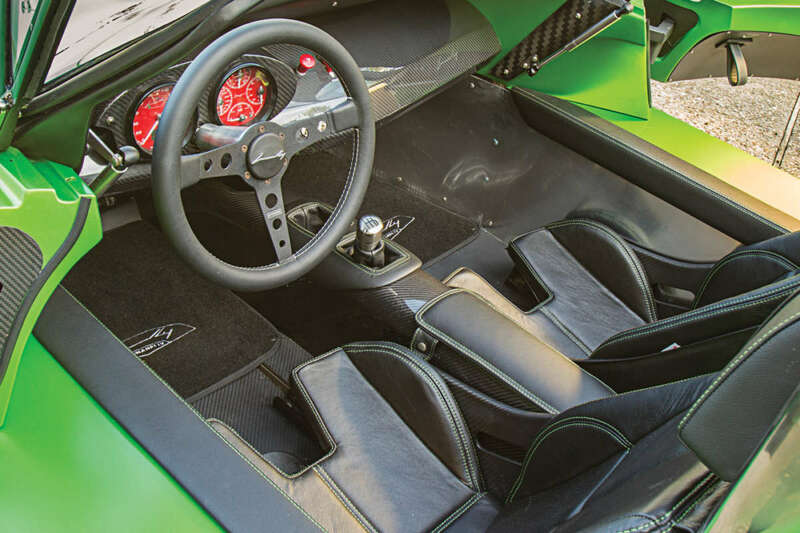 He was able to witness firsthand the growing interest in the wider automotive community for the exciting new Design-1. 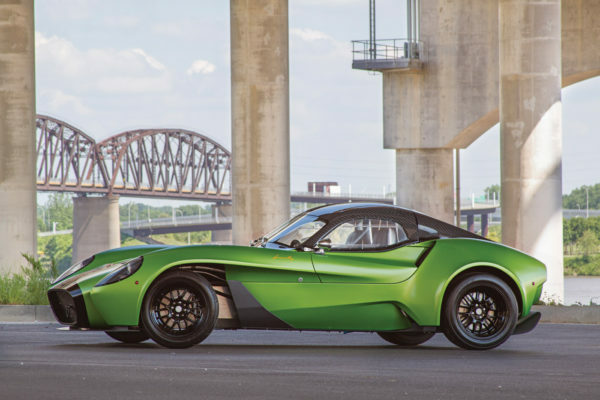 At the end of March 2018, two years after ordering the car, the rolling chassis was airfreighted to Louisville, Kentucky, and delivered to The Dreamcar Co. for the installation of the engine and drivetrain. Given Terry’s meticulous approach to a buildup, this part of the project has been an admittedly tedious process. But it has been on the cutting edge of everything Jannarelly Automotive seeks to accomplish. With Terry’s tenacity, and great support from Dubai and from Collins Nissan in Louisville, the project has come together and the car should be on the road very soon. Eager with anticipation, we decided not to wait for the 100 percent completed car to meet our publishing deadline. Once complete, it will have been roughly a three-year journey from ordering to driving on the road. In the meantime, the Design-1 looks sensational and the wait will likely have been well worth it. Phil will ultimately have the first privately owned Jannarelly Design-1 on the road in the U.S., and its debut will make a startling statement. 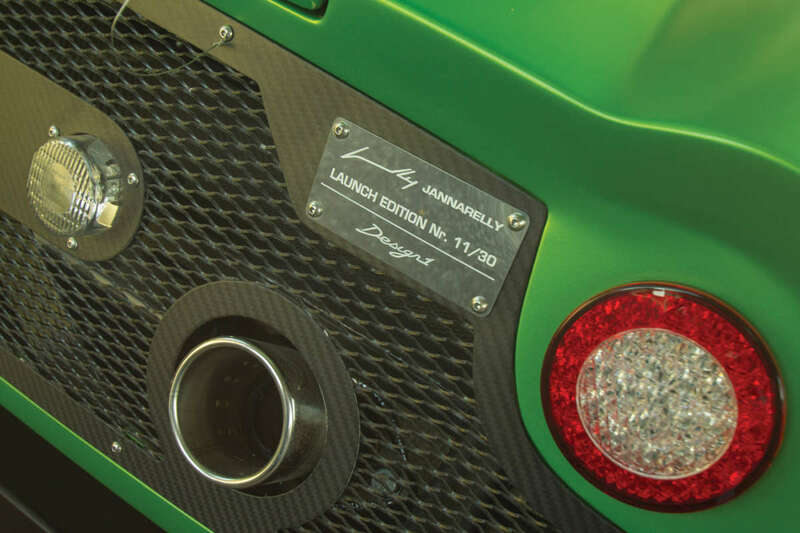 What started with the Caterham 7 and ended with this beautifully crafted Jannarelly Design-1 is an unexpected, yet utterly remarkable accomplishment. The line for customers will no doubt start at the rear.